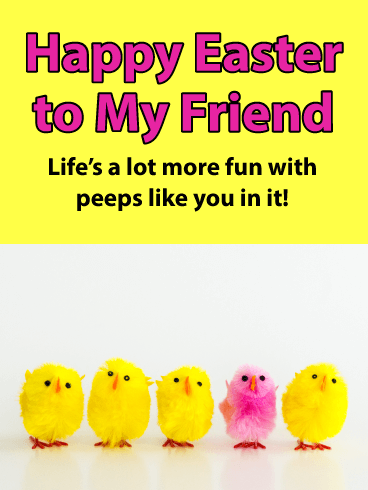 This bright, festive Easter card for a friend brings with it everyone’s favorite holiday treat, Peeps! 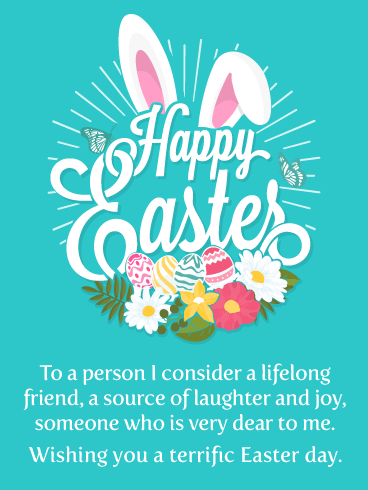 It’s the best way to bring out lots of laughs for someone who makes life a lot more fun, just by being around! 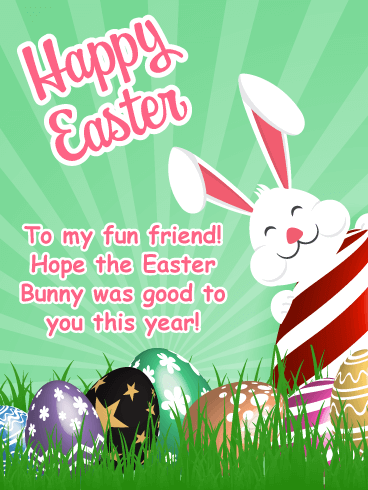 They’re sure to get a kick out of this cute greeting while thinking about how sweet you are for sending it! 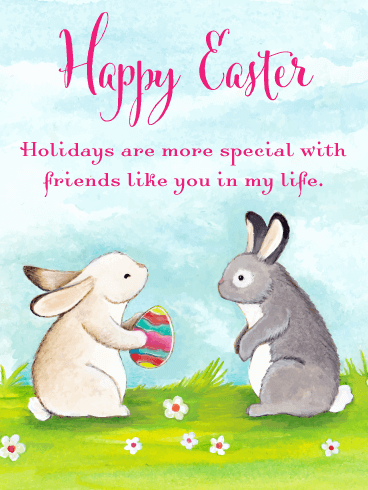 If you have a fun friend in your life, then they will certainly appreciate this festive card that is bursting with color and fun images. 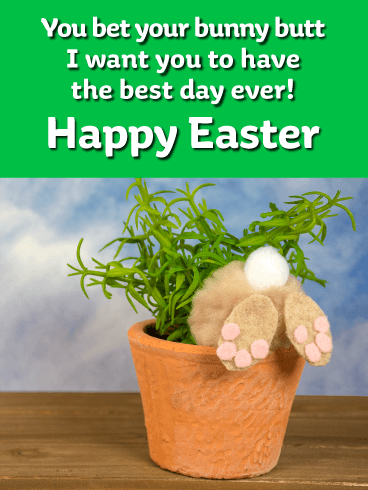 A cute bunny is seen, along with amazing Easter eggs, and they look fantastic! 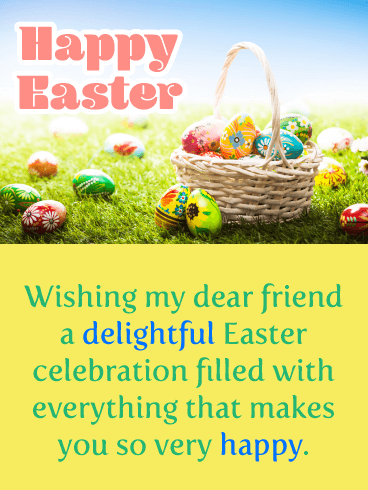 It was designed with a great green background and rays of light. 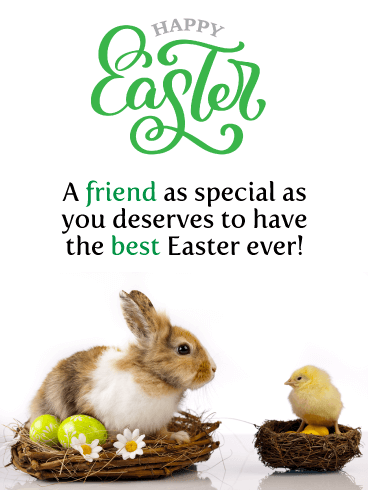 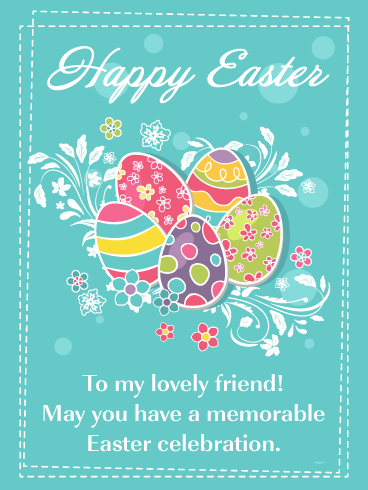 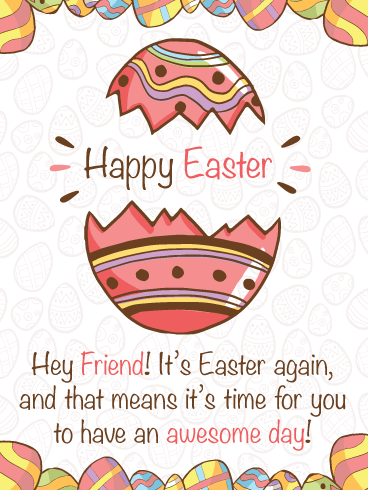 Your friend is going to really enjoy this Easter card, so be sure to send it on its way soon! 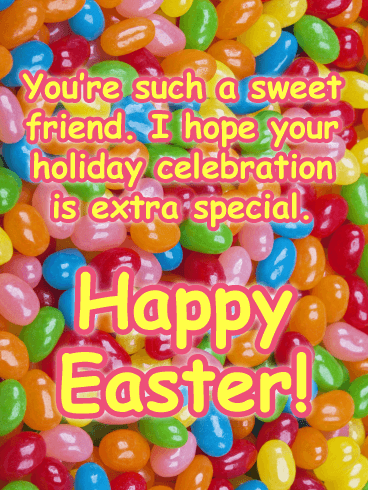 A delicious jelly bean treat makes the background of this Easter card extra sweet! 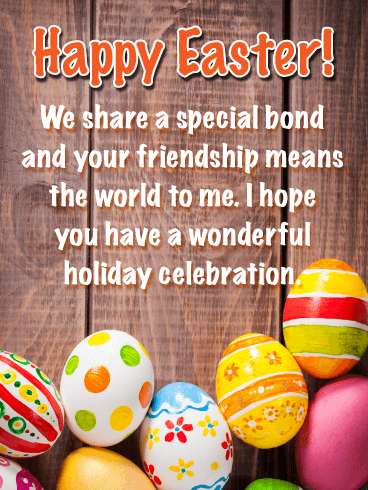 When you want to let a friend know just how special they are, this colorful greeting is the best way to do it. 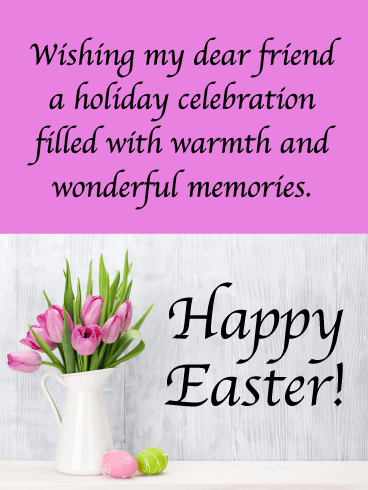 It lets them know how much you think of them while wishing them a holiday celebration that’s full of fun, family, and friends like you! 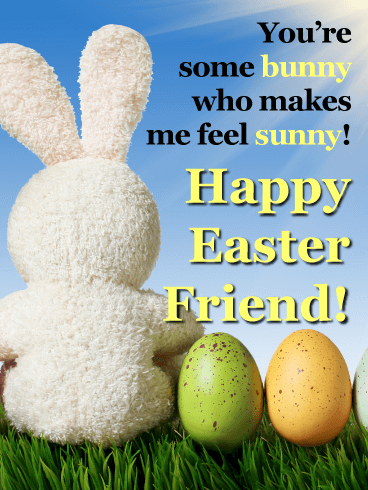 This sweet little bunny sits in the tall green grass next to two colorful eggs, enjoying a picture-perfect spring day under the blue, sunny sky! 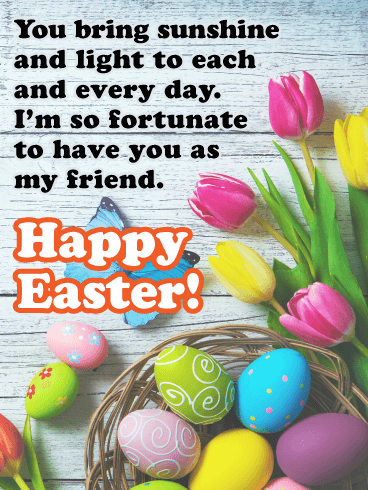 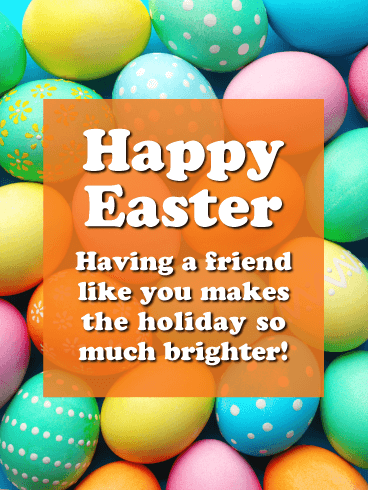 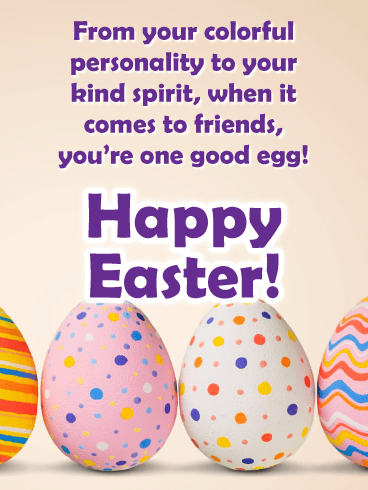 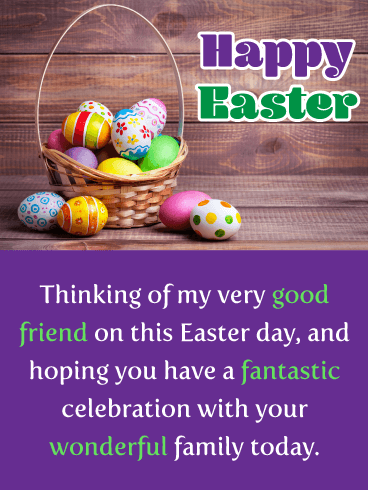 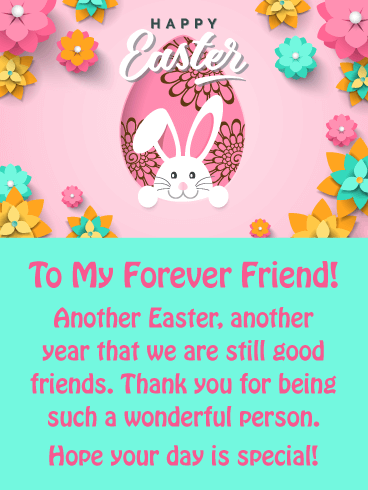 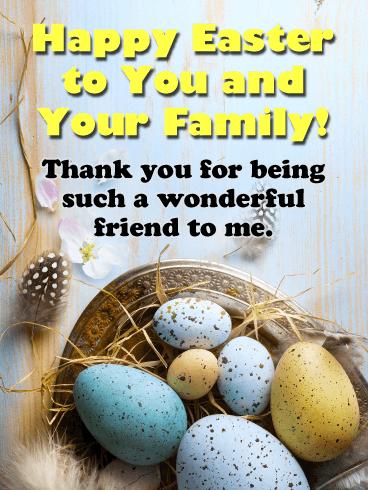 What a fun way to wish your friend a happy Easter, while making sure they smile bright and feel just as sunny as you feel inside whenever they’re around!